Can you really go wrong with place called Ribs & Burgers? We didn’t think so, and with close proximity to our hotel room, we thought it was well worth a visit. As their name suggests, they focus on what they’re good at; ribs and burgers. 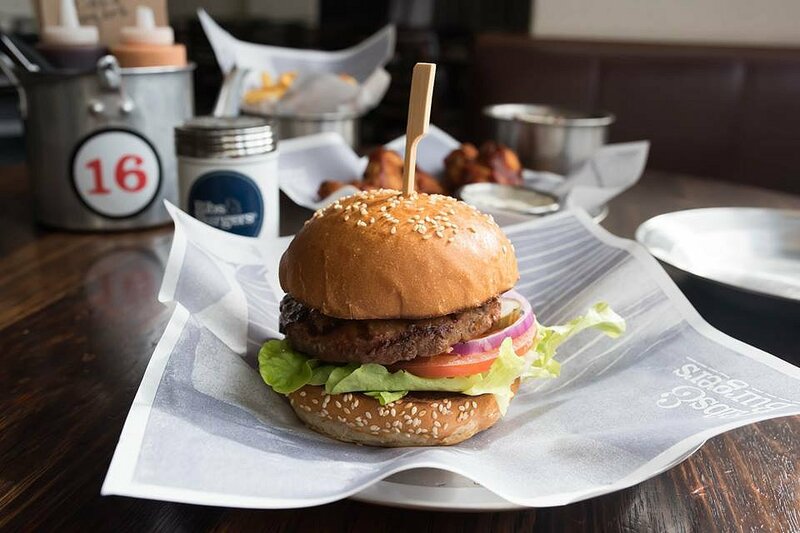 The ribs are slow cooked for 8 hours, while the beef patties in their burgers are grass fed and hormone free. Their buns use organic flour, and only the freshest ingredients are used. 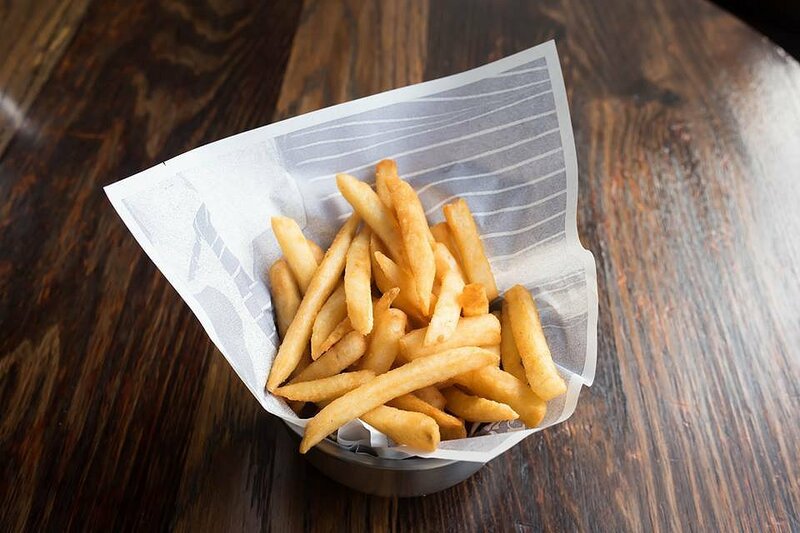 We started with a serving of their Famous Chips. They were nice and crunchy which is just the way we like it. They’ve got salt, vinegar and a whole bunch of sauces on one side of the dining area so you can go help yourself as you please. For the burger we went for The Butcher’s Original with beef patty, lettuce, tomato, pickles with BBQ and Aunty Joan’s pink sauce. With burgers, sometimes it’s best to keep it simple and it’s definitely the case with this burger. The beef patty was well seasoned, and juicy and succulent. The lettuce and tomato were fresh and crisp, and the pickled had a nice crunchy texture. Next were the Chicken Wings with a smoky sauce. The wings were crispy on the outside, and juicy in the centre. They were covered in a smoky sauce which was a bit too sweet for our liking. 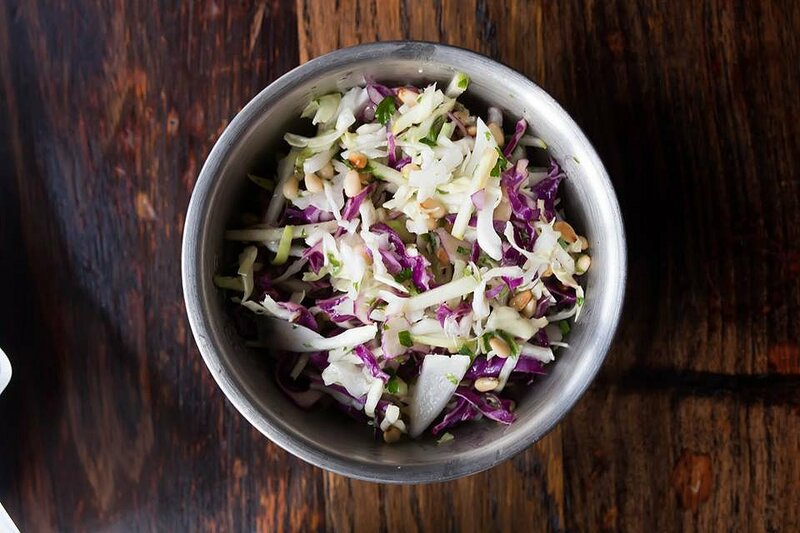 The Apple Cabbage Salad is something healthy to balance out everything else. There’s a lot of crunch from the cabbage, apple and pine nuts. The menu says there’s a vinaigrette dressing but we could hardly find any in this salad. 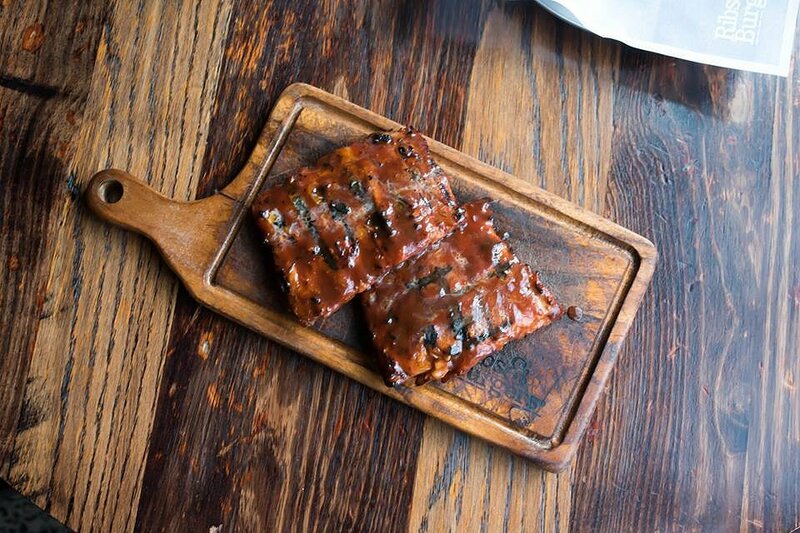 No visit would be complete without trying their ribs. We opted for the Pork St Louis Ribs. You could tell from the appearance that they were a good cut. The meat was juicy and succulent, and the pork simply fell off the bone. 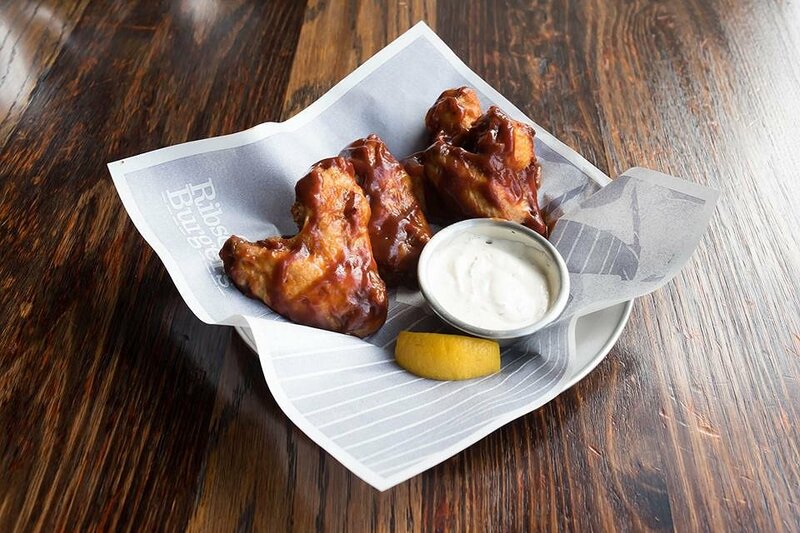 Just like the wings, the smoky BBQ sauce was very sweet and you couldn’t have too much of it. Ribs & Burgers, The Rocks is open from 11am-9:30pm from Sunday to Thursday, and from 11am-10pm on Friday and Saturday.